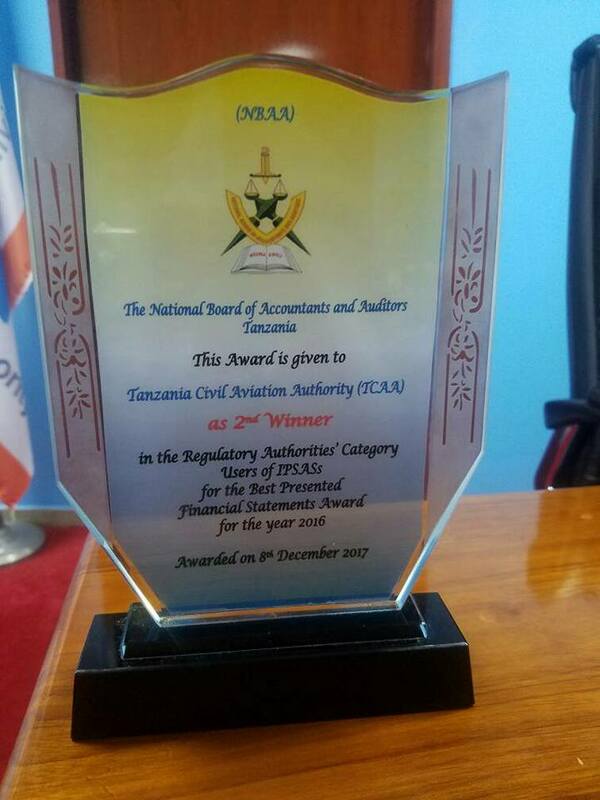 Tanzania Civil Aviation Authority (TCAA) has scooped the National Board of Accountants and Auditors Tanzania (NBAA) award for the Best Presented Financial Statements for the 2016. The Authority emerged the 2nd winner in the category of regulatory authorities' users of IPSASs. The award was presented to TCAA recently.